Frances Jones-Sneed is professor of history (PhD, University of Missouri) and Director of Women’s Studies at Massachusetts College of Liberal Arts in North Adams, Massachusetts. 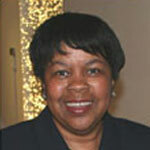 Jones-Sneed has taught and researched local history for over twenty years. She has lived in Williamstown, Massachusetts since 1993 and is co-director of the Upper Housatonic Valley African American Heritage Trail Advisory Council that pioneered the first African American Heritage Trail in rural New England. She also co-directed a National Endowment for the Humanities grant entitled “The Shaping Role of Place in African American Biography,” spearheaded a national conference on African American biography in September 2006 and is presently directing a NEH Faculty Workshop on “Of Migrations and Renaissances: Harlem NY & South Side Chicago, 1915-1975.” Jones-Sneed is currently working on a monograph about W.E.B. Du Bois.